The Enterprise has been tasked with stopping a terrible botanical plague on Merak 3. To do so, the ship requires supplies of the rare mineral known as zenite. The only zenite in the quadrant, however, can be found on the planet Ardana, a member of the Federation. As Captain Kirk (William Shatner) learns very quickly, Ardana is a world of “violent contrasts.” The government, artists, and social elite are all housed in Stratos, a floating city in the clouds. Meanwhile, those who support the city, Troglytes, live in dark, dank condition on the nearly inhospitable planet surface. Kirk and Spock (Leonard Nimoy) are attacked by “disruptors” -- a Troglyte reactionary group -- at the collection site for the Zenite. 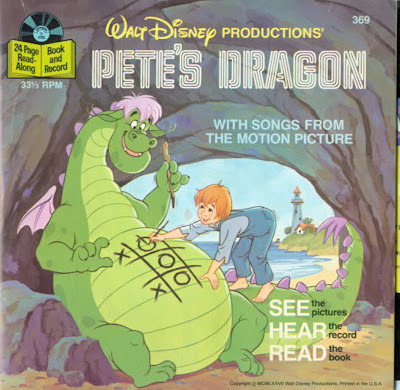 When it looks like the needed material may not be forthcoming ant time soon, Kirk must attempt to negotiate the social breach, befriending a Troglyte named Vanna (Charlene Polite), and earning the enmity of High Advisor Plasus (Jeff Corey), who runs the city and believes that all Troglytes are inherently inferior. Spock attempts to get through to Droxine (Diana Ewing), daughter of Plasus, while Dr. McCoy (De Forest Kelley) learns that the “diminished mental activity” of the Troglytes is caused by exposure to the Zenite in its natural form, not any physiological or genetic inferiority. Kirk realizes that filter masks could prevent such exposure and heal the Troglytes. But Plasus refuses to believe that the Troglytes could ever be the intellectual equals of the Stratos city-dwellers. Based on a story once called “Castles in the Sky,” by David Gerrold, “The Cloud Minders” has long been controversial in terms of its genesis. Back in the early 1980’s, Gerrold and producer Fred Freiberger each had their respective say about the episode in Starlog. That dialogue, in many ways, has formed the conventional wisdom about the story. And what is the conventional wisdom? That, specifically, “The Cloud Minders” -- a story about social inequality -- missed the mark to some degree. By focusing on the filter masks, the critics suggest, the episode suggest that the Troglytes will keep working, and keep being unequal in the society. The real issue -- the racism and ethnocentrism of the Stratos city dwellers -- is largely unaddressed. The Troglytes, with their gas masks, can now be happy slaves! I don’t concur with this interpretation. And I think the argument is silly. My feeling about the show’s finale is this: Before Kirk’s intervention with the filter masks, the Troglytes can’t effectively “disrupt” Stratos. They are affected by the gas, and not able to rally a truly effective strategy to combat the establishment. By giving the Troglytes the tools to fight for themselves, Kirk is making them a worthy opponent to the establishment. Their grievances will be redressed, as the Troglytes return to normal. I don’t necessarily see this as a weaker resolution, but one that maintains, at least to some degree, the independence of the Enterprise. I think it’s a better solution, at least in terms of drama (and drama as it applies to a continuing series). Well, Kirk and his party ameliorate a health concern, but don’t overtly involve themselves in the politics -- or civil war -- of a sovereign Federation member planet. I don’t believe the episode would have worked effectively had Kirk merely taken sides, and helped the disruptors overthrow Stratos. Writing in terms of history now, often on Star Trek much of the drama often arises from the fact that starship crews seek to help planets they encounter but can’t fight their battles for them. Instead, the captains and crews can sort of “nibble” around the edges of the problem in hopes of fostering legitimate and meaningful change. I would argue that “The Cloud Minders” is squarely in that tradition. Kirk has helped wrong a right, but he also hasn’t smashed a culture based on his own moral judgement of it. None of this means that the episode is perfect. 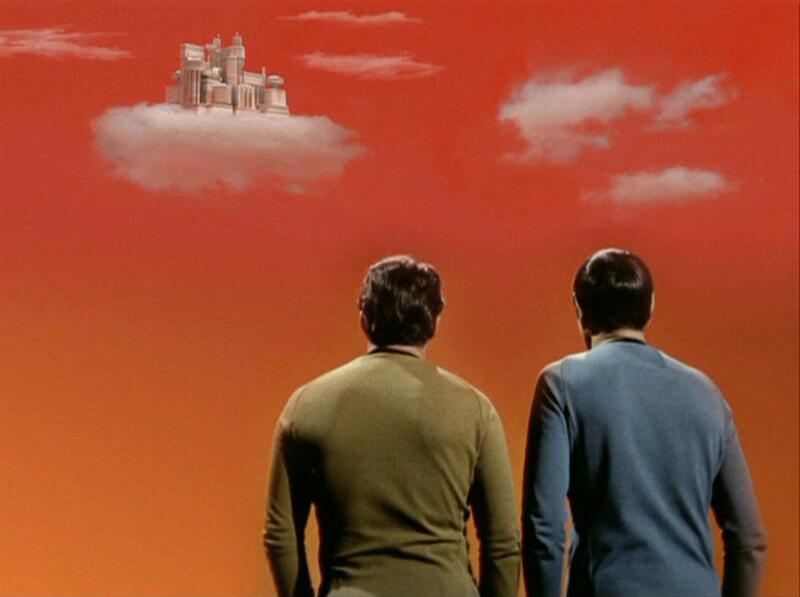 In particular, “The Cloud Minders” handles Spock very badly. Just a season ago, Spock was willing to die rather than discuss Pon Farr with his very best friend, James Kirk. In “The Cloud Minders,” he discusses Vulcan mating with Droxine, a woman – and non-Vulcan -- he has only just met. The contradiction is jarring. 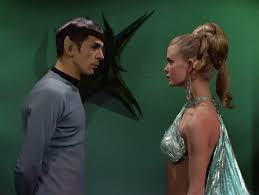 Of course, one might argue that Spock only adhered to that secrecy because he was a Pon Farr virgin, so-to-speak, at the time of “Amok Time.” Here, having gone through it, the experience needn’t be handled with such sensitivity. But, that explanation is likely a stretch, considering how Tuvok handles the experience on Voyager (1995-2001): with extreme privacy and secrecy. Also, Spock’s monologue and reverie about Stratos -- in which he flashes back to events already established, and re-hashes the plot -- seems a terrible waste of time, and an unnecessary bit of editorializing. It is quite clear from the performances of Shatner and Nimoy that Kirk and Spock don’t approve of the “segregated” nature of life on Ardana. No need to spoon-feed the audience the same information already communicated. Finally, though Droxine is lovely indeed (and garbed in a fantastic Star Trek gown), it is not clear why Spock would be attracted to someone so set in her ways, and so prejudiced in her thinking. 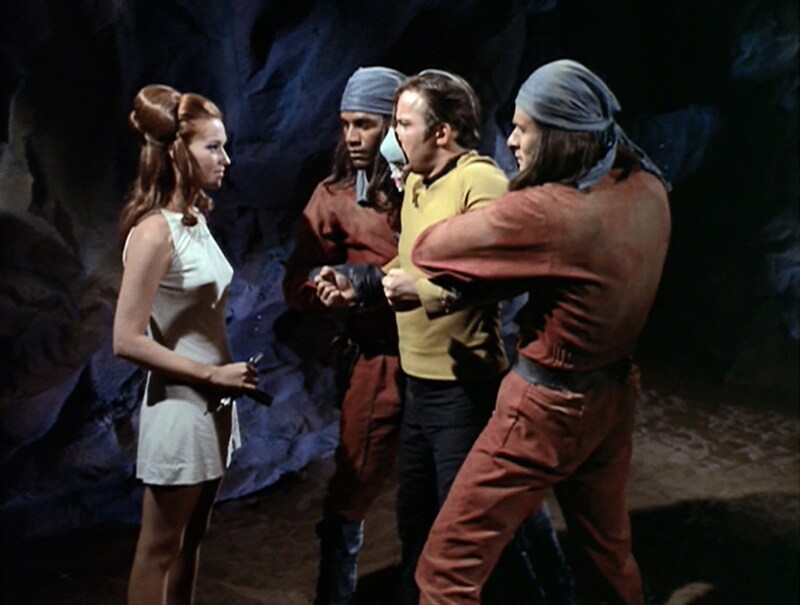 Droxine is a very shallow person, and not the type of person I see Spock being drawn to. She supports, after all, segregation. And in some sense, that is what “The Cloud Minders” is really about: segregation between the haves and the have nots. As Spock notes, those on Stratos who receive the rewards are totally separated from those who shoulder the burdens, in this case, the Troglytes. The rich get richer, and the poor get poorer. As Spock observes, such a system does not suggest “wise” leadership. One group of citizens is haughty and entitled, while possessing no useful skill set. The other group of citizens barely eke by, a situation that, of course, fosters utter resentment. The brilliance of Kirk’s move -- giving the Troglytes the filter masks -- is that he has presented the Troglytes with the platform or stability to fight back, and use their superior bargaining position. Freed from the negative effects of Zenite, they can now use their power to extract basic rights and freedoms from the people of Stratos. Without the Troglytes, Stratos will, literally, fall. Many writers and fans see in “The Cloud Minders” resonances of the science fiction classic, Metropolis (1927). That movie also concerned an uprising against an unfair and imbalanced social structure, with the workers striking back against the rich and powerful. “The Cloud Minders,” however, is a different animal because it must also negotiate the role of a third party: Starfleet. And that’s where, I believe, some of the episode’s cleverness arises. Kirk’s unnecessarily brutal treatment of Plasus is, after all, a result of his exposure to Zenite. When Kirk expresses his distaste, he has a reason for acting in a manner not appropriate for a starship captain. Some fans also view it as a weakness that Ardana was granted membership to the Federation, even though its society is patently unjust. I don’t view this as a weakness of the story, but as a strength. No world is perfect, and the Federation, in hoping to grow and expand, obviously chose poorly in accepting Ardana’s application for membership. Perhaps Ardana’s application was accepted only because of the presence of zenite. I have always wondered if the events of this episode jeopardized Ardana’s membership in the United Federation of Planets. I can't deny that "The Cloud Minders" is a guilty pleasure. Seeing Kirk fondling a phaser while barking "Dig!" is great television. Also, Droxine's fantastic gown was another reason I never missed this episode when it was re-run and I was a budding teenager. I also appreciate your comparison to "Metropolis," and the messages of both the film and "The Cloud Minders" is perhaps more relevant today than it's ever been. Or they were allowed in because the Feds thought that exposure to Federation culture would reduce the inequality, if only over time. I enjoy this one as well, though I admit that may be partly because it's the first (or one of the first) episode of TOS that I remember watching. But I, too, find the message relevant today as well. Much has been made about the similarity to "Metropolis." 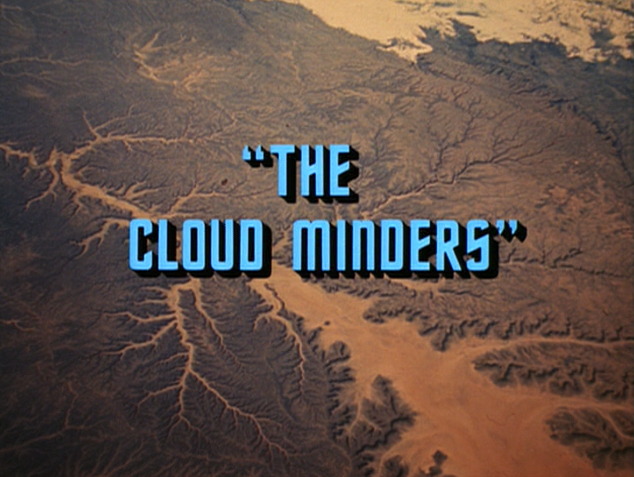 I can't help wondering if "The Cloud Minders" helped inspire the classic Dr. Who story "The Mutants" (which I also happen to consider underrated). That episode also dealt with oppressed people, their oppressors, and a planet's toxic atmosphere as a major plot point. I enjoyed this look at the episode. Like others here in the comments, I've always enjoyed this episode, and not just for Droxine's gown! It has an undeservedly poor reputation.